Description: Safely watch the sheer power of U.S. AIR FORCE PLANES on your computer monitor. This military screensaver rotates over forty STRIKING AERIAL AND GROUND PHOTOS of aircrafts including the F-15 Eagle, F-16 Falcon and F-117 Nighthawk fighter jets, the B-1 Lancer, B-2 Spirit and B-52 Stratofortress bombers and many others. Be energized as you see the world's mightiest airplanes in action! Use any screen saver image AS YOUR DESKTOP BACKGROUND too. Description: Join NASA astronauts as they carry out their mission ABOARD THE SPACE SHUTTLE. This space screensaver is loaded with over ASTOUNDING IMAGES images featuring lift offs, space walks, satellite deployments, rendezvous with MIR and the International Space Station, Hubble Space Telescope servicing, landings, and much more. Get some rocket fuel for your mind and gain a new perspective on life! Use any screen saver image AS YOUR DESKTOP BACKGROUND too. Description: Witness the might of the U.S. NAVY FLEET from the comfort of your home or office. This military screensaver boasts over forty HIGH-DEFINITION photographs of navy ships including aircraft carriers, guided missile cruisers, destroyers, attack submarines, frigates, tugs, landing crafts, patrol boats, high-speed vessels, experimental ships and many more. Anchors aweigh! Use any screen saver image AS YOUR DESKTOP BACKGROUND too. Description: Photo Screensavers bring you a new dimension in presenting pictures that prompt the imagination and recall memories. While your computer is idle, five full size pictures appearing on your screen will give you the opportunity to take a close look at many different types of cars. Don't miss the chance to feel the speed. Description: This extremely realistic F1 Championship 3D Screensaver is a real treat for all the people who like speed and fast cars. The most skillful F1 drivers will battle each other for the Grand Prix on your desktop. The graphics, animation, sound effects and music are absolutely outstanding! It's just like watching a TV broadcast but it really is an awesome saver that you can put on your monitor. See the world's best racing action on your own desktop! Description: This extremely realistic F1 Racing 3D Screensaver is a real treat for all the people who like speed and fast cars. 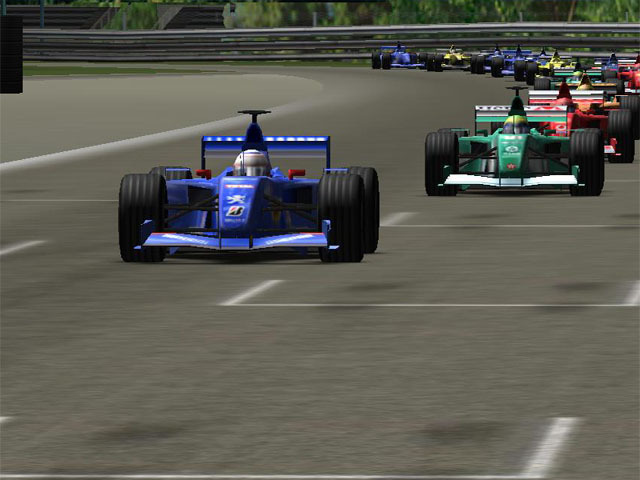 The most skillful F1 drivers will battle each other for the Grand Prix on your desktop. The graphics, animation, sound effects and music are absolutely outstanding! It's just like watching a TV broadcast but it really is an awesome screensaver that you can put on your monitor. See the world's best racing action on your own desktop! Description: Feel the power of Ferrari on your screen! This screensaver features high-resolution pictures of Ferraris in action. Offers high-quality graphics and customizable transitions! Download today! Description: Put the hottest cars in the world on your desktop with this beautiful car screensaver. Description: This Free Flowers Screensaver will definitely lift your spirits! Description: Download this staggering Free Nascar Screensaver and make your desktop a place of a real drive!